What Hawaii Weather Can You Expect This Summer? Am I getting really old — or does it seem like last summer just happened!? Summer 2015 was definitely a summer to remember, that’s for sure! There were 14 named storms last hurricane season, eight developed into hurricanes, and five major hurricanes that developed out of the eight. Bottom line? It was one heck of a hurricane season. Now, scientists say Hawaii could experience yet another above-average hurricane season despite the ongoing decline in the powerful El Nino weather pattern. In fact, scientists tell the Honolulu Star Advertiser that conditions during the June-through-November hurricane season are expected to be ideal for tropical storm formation in the ocean off Mexico, thanks to the discharge of El Nino-fueled ocean heat in that region. That means Hawaii will have to be wary of the potential of more storms forming and tracking westward from that area, they said. “We’re going to have to keep our eyes open,” Hawaii state climatologist Pao-Shin Chu told the newspaper. 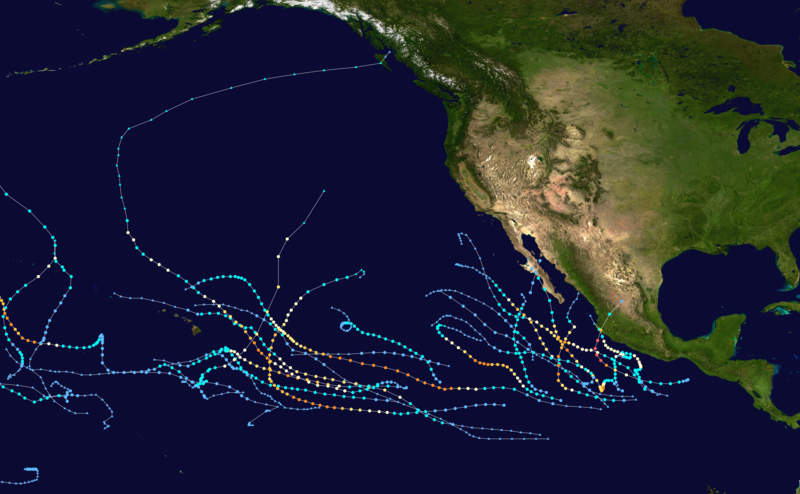 The 2015 Pacific Hurricane Season included 14 named storms, 8 hurricanes, and 5 major hurricanes out of the 8. 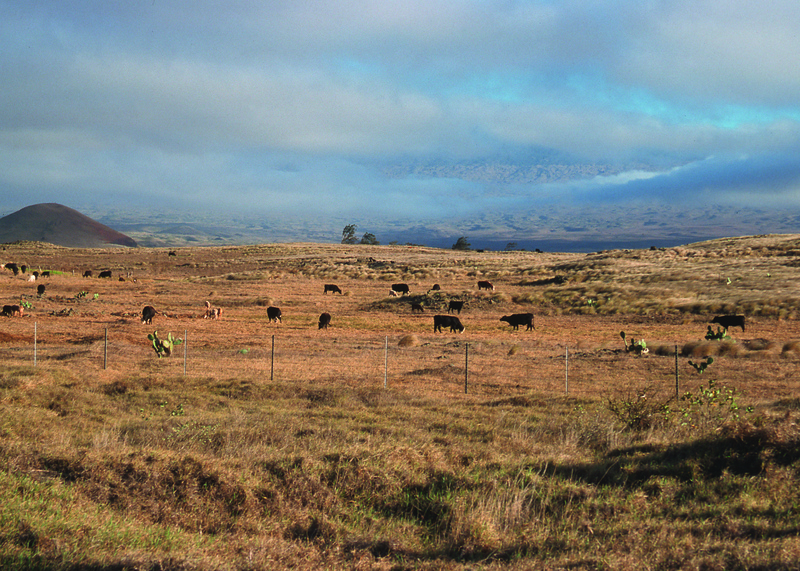 HOWEVER, scientists tell the Honolulu Star Advertiser that, despite the enhanced potential for a killer tropical storm, the weather over the next year could be pretty nice in contrast to some of the extreme El Nino anomalies seen over the past year, including oppressive heat and humidity, feeble tradewinds and winter drought. That’s because the strong El Nino is rapidly weakening, and climate officials say there’s an excellent chance it will transition into its polar opposite, a strong La Nina, which could bring ample tradewinds and cooler ocean water, both of which could support seasonably cooler temperatures. Another by-product of a strong La Nina? Copious amounts of rainfall. The National Weather Service’s Climate Prediction Center has issued a La Nina watch, saying there’s a 70 percent chance La Nina will develop in the coming months. Officials say El Nino is likely to turn neutral by late spring or early summer and then transition into La Nina just in time to moderate Hawaii’s hottest months in the late summer and early fall. In the meantime Hawaii’s current drought is expected to continue well into the usual summer dry season, especially on the hard-hit leeward sides of the islands. Although a La Nina pattern could mean more rainfall for windward sides, leeward sides will likely get little relief from drought conditions. The windward sides of the islands, meanwhile, are already seeing some tradewinds and moisture, Kevin Kodama, a hydrologist with the National Weather Service, told the Honolulu Star Advertiser. So they are in good shape heading into summer. For visitors to Hawaii, a strong La Nina season could mean pleasant, cool weather this summer — perfect to enjoy some of the many Hawaii activities available through Hawaii Aloha Travel. BUT, you should also keep abreast of storm formations in the days and weeks leading up to your travel. If we, indeed, are in for another active hurricane season, you’ll want to be prepared just in case!